Topic: One Appliance Does Not Fit All – Selecting the Right Appliance for Each Individual on site? 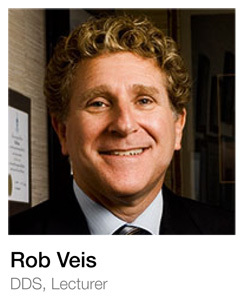 Dr. Veis was a clinical instructor and lecturer at the University of Southern California for thirteen years. He was on the faculty at the Las Vegas Institute for Advanced Dental Studies and has guest lectured at the University of Nevada at Las Vegas and New York City’s Columbia University. Several thousand dental professionals and students have attended and continue to attend his courses throughout the world. Dr. Veis is an internationally renowned lecturer on the topics of Dental Sleep Medicine, Orthodontics for the General Practice and Appliance Therapy. 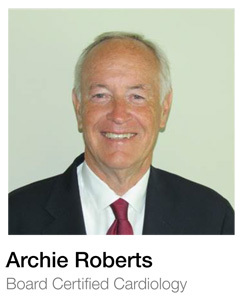 Presenter: Dr. Archie Roberts M.D. Topic: Integrating Dentistry and Medicine, the Time is Now! 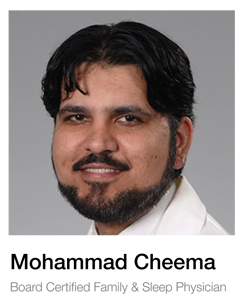 Dr. Cheema is a Louisiana native, who completed his undergraduate at LSU-S and further completing his residency at LSU-HSC in New Orleans. After completion of his residency Dr. Cheema moved to the “City of Brotherly Love” to become fellowship-trained in Sleep Medicine, which he completed at Thomas Jefferson University Hospital in Philadelphia, Pennsylvania. After completion of Fellowship and realizing the immense need for a Pediatric Sleep Specialist here in his own back yard, he moved back to “The Big Easy” and has established the first of its kind Sleep Center. John Nadeau is an expert on the airway, imaging and home sleep testing John authored the SGS protocol manual detailing the steps-by-step process involved in taking a patient from initial screening through diagnosis, treatment and follow-up. John’s passion for dental sleep medicine comes through strongly in his lectures and he has been an invited guest instructor at many dental meetings and teaching facilities across North America. 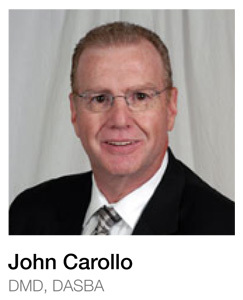 John Carollo DMD is a respected author, lecturer and peer. 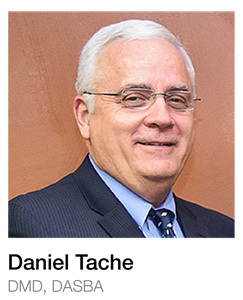 He has helped thousands of dentists learn about the latest clinical techniques both nationally and internationally. In addition, he has written more than 20 articles that have been published in a variety of dental journals. At the same time, he actively searches for opportunities to expand his knowledge and to learn from others. Topic: “NIGHTLASE™” A unique new non-surgical approach to the management of snoring and sleep apnea, using the Fotona Lightwalker family of Lasers. Dr. Shiffman is in general practice at the Laser Dental Center in Boynton Beach, Fla. He is a graduate of Georgetown University School of Dentistry and completed a general practice residency at Georgetown University Medical Center with an emphasis on treating medically compromised patients. 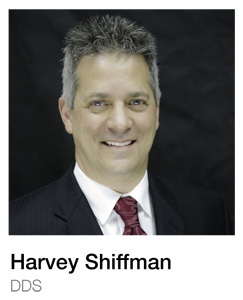 Dr. Shiffman completed certification with the Academy of Laser Dentistry (ALD) in three types of Laser systems and was recently awarded a Fellowship in the ALD. 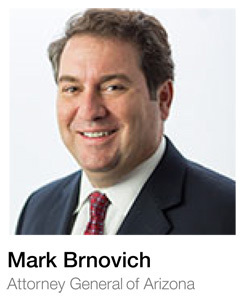 He is personally involved in the use and development of cutting edge technology and has performed thousands of laser dental procedures over the last decade. Friday April 13th for Dental Sleep Medicine 101 and program for assistants and office staff. Dr. Bennardo received his DDS degree from the University of Illinois in 1990 and has been involved in dental sleep medicine since 2008. After being diagnosed with Obstructive Sleep Apnea in 2014 his desire to advance his knowledge and treatment abilities increased. 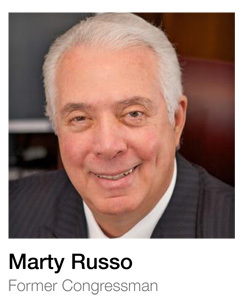 He became a member of the ASBA through his affiliation with the International Academy of Sleep and became an ASBA diplomate in 2017. 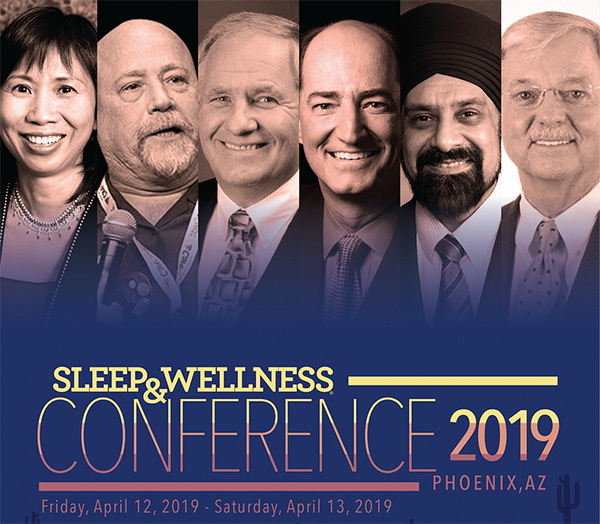 His desire to treat his patients to the highest level possible lead him to dig deeper into the research on the biochemical components of sleep and how gut health plays a major role. This dual approach, treating the mechanical components of sleep with oral appliance therapy and now the chemical components of sleep with optimizing body ph and gut health, has given him greater treatment success and increased patient wellness. Aaron Street is a highly experienced and sought-after wellness educator and nutrition doctor. 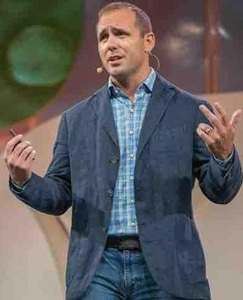 Each year he presents entertaining educational and inspirational wellness lectures, workshops, and programs to thousands all over the US and abroad. Aaron Street and his team of staff and physicians have been committed to impacting and educating patients to optimal health for 17 years. His mission is to empower as many people as possible to experience their optimal health potential through genuine care and education.. Dr. Street promotes total wellness through Encouragement, Education, and by Equipping people with the necessary tools they can use to reach their wellness goals. This will be a presentation of the Full Breath Solution Sleep Appliance that depresses the tongue and opens the airway. It has a model with O2 tubes that connects to an oxygen concentrator and delivers 92% O2 to the body. The O2 version gets the following Post-tx results: 97% treated had Mean O2 of 95% or greater. And 54.5% had their AHI <5. With great O2 delivery American Dentistry can change the health of the world. Dr. Keropian graduated from the USC School of Dentistry. He has practiced LA since graduation. He spent 10 years doing general dentistry, 20 years treating TMJ and orofacial pain, and past 15 treating OSA. In the past 15 years he has developed 7 sleep oral appliances and attained 5 Patents and FDA Clearances. His latest innovation is adding O2 tubes to the Full Breath Appliance and getting very successful treatment results. He has demonstrated successful results with a medical device with and without O2 available for treating OSA. 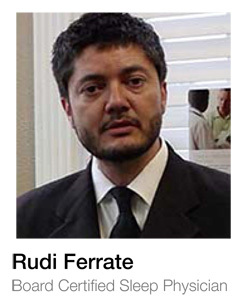 Presenters: Dr. Rudi Ferrate M.D. 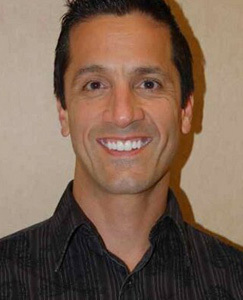 Dr. Rudi Ferrate is a Board Certified Sleep Physician in private practice in Glendale, AZ. Besides his expertise in Family Medicine he has been diagnosing and treating patients with sleep disorders, medical weight loss as well as preventative medicine with an emphasis or hormones and nutrition. Dr. Ferrate is also boarded in Family Medicine, non surgical Bariatric Medicine. From the very beginning of his medical career has nurtured his passion to find the best, most specific yet natural treatments in the field of Wellness, rejuvenation, sleep disorders and weight loss. 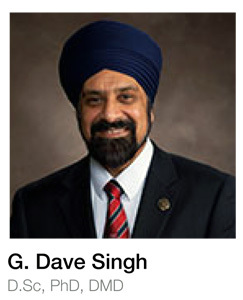 He is an active member of various academies and holds medical licenses in multiple states as well as outside of the US. In the sleep medicine field his purpose is to collaborate with the best in the field to define the future of sleep disorders treatment and performance where dentists and physicians will work together using all available therapies as well as develop innovative protocols, tools and medical devices for sleep disorders performance where dentists and physicians will work together using all available therapies as well as develop innovative protocols, tools and medical devices for sleep disorders. 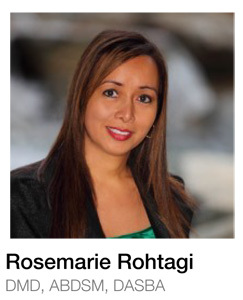 Formally trained sleep apnea dentist San Diego and recognized as an expert, Dr. Rosemarie Rohatgi utilizes Oral Appliance Therapy (OAT) which is action taken by people who are unable to tolerate a CPAP machine, otherwise known as CPAP intolerant. Everyone’s case of sleep apnea is different and must be treated uniquely. A properly fitting oral device will prevent the airway from being blocked, resulting in a significantly better night’s rest. It will also stop the snoring associated with the Obstructive Sleep Apnea (OSA) disorder. Dr. Rohatgi is versed in the construction of the industry’s leading oral appliances thereby effectively selecting the proper appliance for your unique case of sleep apnea. 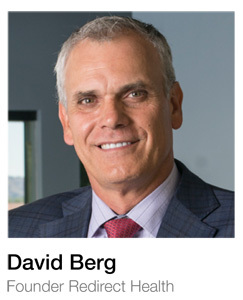 Dr. David Berg is President and co-founder of Redirect Health, a national healthcare company that solves the #1 NEW people problem small and medium businesses face. Unlike a few years ago, it is now impossible for low and mid wage employees to buy healthcare on their own in any market in America. This is creating new pressures on CEO’s to fix this problem or risk the increasing costs of turnover, recruiting, productivity loss and workers compensation. With Redirect Health’s solution a CEO can sponsor an employee health plan that makes it possible for employees to purchase healthcare on their own for much less than on the open market — and at no cost to the company. Dave’s vision for the future of healthcare is simple and compelling — He sees a day when any CEO in America can have their company’s health plan working so well, so inexpensively, that they decide to provide it for free to their employees because of the free market competitive advantage they gain. Dave’s own company’s healthcare plan has the best cost to benefit ratio in the nation, and he is able to provide all employees and their families with free healthcare because of his unique solution and unique way of thinking about this problem. 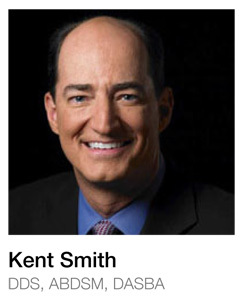 He is the author of “The Business Owners Guide to Fighting Healthcare” — a how-to guide that teaches business owners to leverage their companies to make healthcare affordable and to create a competitive advantage. The Phoenix Business Journal honored Dave with their 2017 Healthcare Heroes Innovator award for solving this very real business problem with his transformative solution. Attendees will be given an overview of the current board complaints and status of scope of practice in dental sleep medicine. The current controversy regarding the appropriate usage of HST’s will be discussed, State regulations will be presented and the risks of practicing medicine without a license will be examined. You do not want to miss this updated review of the law of dental sleep medicine. 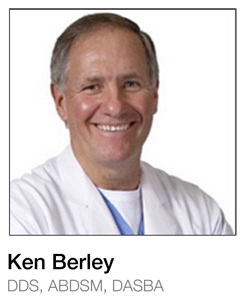 Ken Berley, DDS, JD, DABDSM, has practiced general, implant and cosmetic dentistry for over 35 years. A concern and passion for the patient’s well being combined with his dental experience, led Dr. Berley to complete extensive training in the field of dental sleep medicine to ensure the effective and appropriate treatment of patients suffering from obstructive sleep apnea. Dr. Berley has gained recognition among physicians, dentists, and patients for his ability to effectively treat an manage patients with mild to severe obstructive sleep apnea using oral appliance therapy. Dr. Berley is also an attorney and with his knowledge and experience he teaches other dentists across the nation how to effectively treat patients with obstructive sleep apnea.